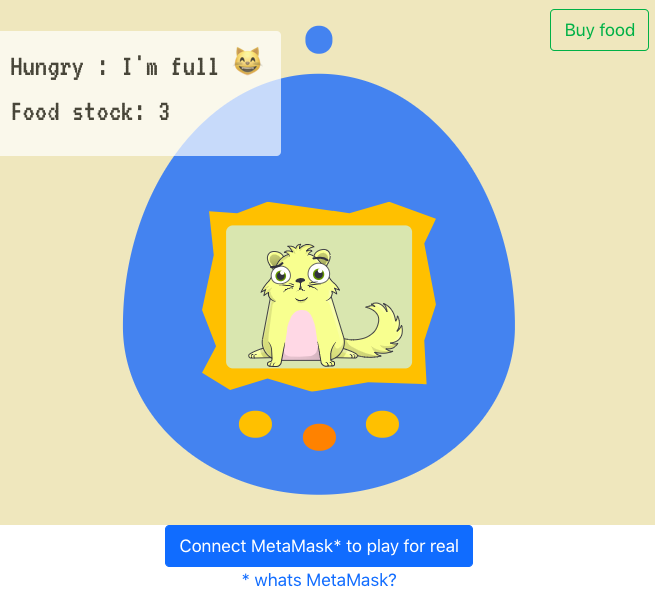 Turn your Crypotkitties in to Digital Pets! 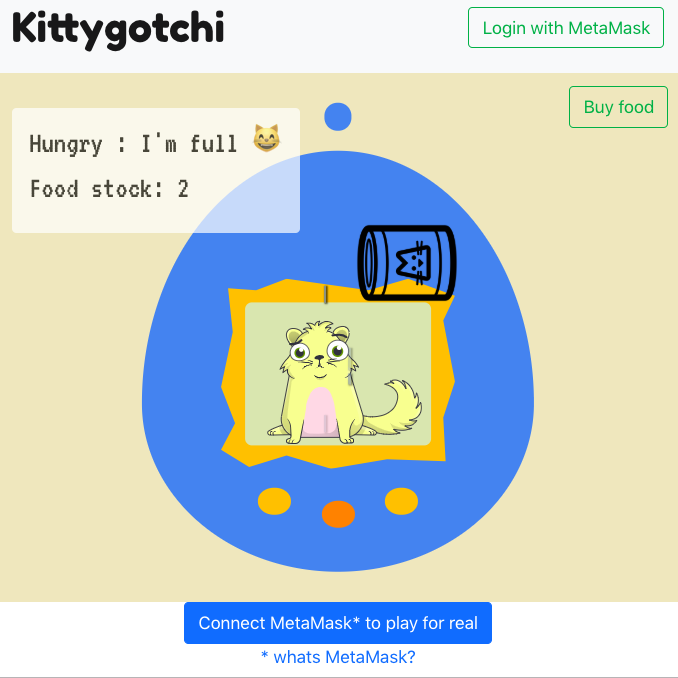 Kittygotchi is a game to turn your cryptokitties in to digital pets, keep your pets alive by feeding them every day. You can play with your kitties also. 0x Asset buyer is used to sell CryptoKitties for users who do not already own them.